Will smart glasses replace iPhone as our main communication device? The iPhone X’s ugly notch could pave the way for Apple to dominate the smart glasses market. 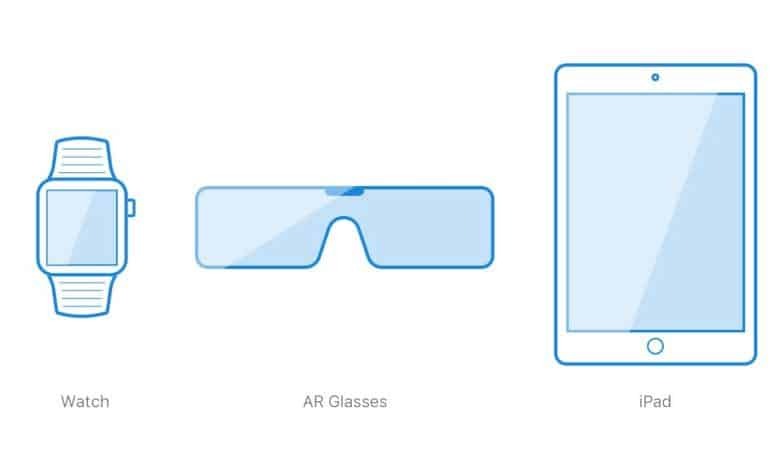 Augmented reality glasses are poised to become the hottest tech gadget of the next decade and Apple’s already laying the foundation with the iPhone X. It may not seem like the two will be directly related, but this clever concept shows how the key lays in the TrueDepth camera hidden in the notch. The concept GIF was created by Leonardo Pazmatos who envisions Apple using the same 3D sensors from the iPhone X to recognize objects in the real world with smart glasses. Putting the TrueDepth camera on the front of a pair of shades would allow the glasses to capture information constantly and more accurately than a simple video camera. Obviously, the glasses wouldn’t be made out of an OLED display, like the iPhone X. Although, transparent displays are starting to become a thing. The GIF highlights how the TrueDepth camera will be a critical component. By the time Apple’s glasses come out (if they come out) the tech could be small enough to not even need a notch. How useful augmented reality glasses would be is still debatable. Apple got a headstart on apps by creating ARKit for developers to create augmented reality apps. Once the tech is ready to fit inside a pair of shades we could see some really amazing use cases. For now, ARKit is being used for simple purposes like measuring objects, gaming, overlaying directions and mapping info on top of the real world and lot of other niche areas. Of course, Apple’s not the only company looking into smart glasses. Amazon is developing Alexa-powered smart glasses that could launch as soon as this year. Microsoft has its HoloLens project that looks dorky but promising. And you know Samsung is going to copy any move Apple makes. Replicating Apple’s TrueDepth camera could be those company’s biggest hurdle though. Some analysts predict Apple’s system is two years ahead of the competition, giving it plenty of time to add more innovations in the future.